É responsável global de Foodservice, Leisure e Place Making na ECE, que gere cerca de 200 centros comerciais, em 14 países. É especialista no desenvolvimento de conceitos de serviço de food&beverage e de lazer para os centros geridos pela ECE, para investidores, parceiros e outros stakeholders da empresa. Em 2017, lançou o programa “We Love Food”, focado em antecipar tendências e criar conceitos inovadores para o setor. 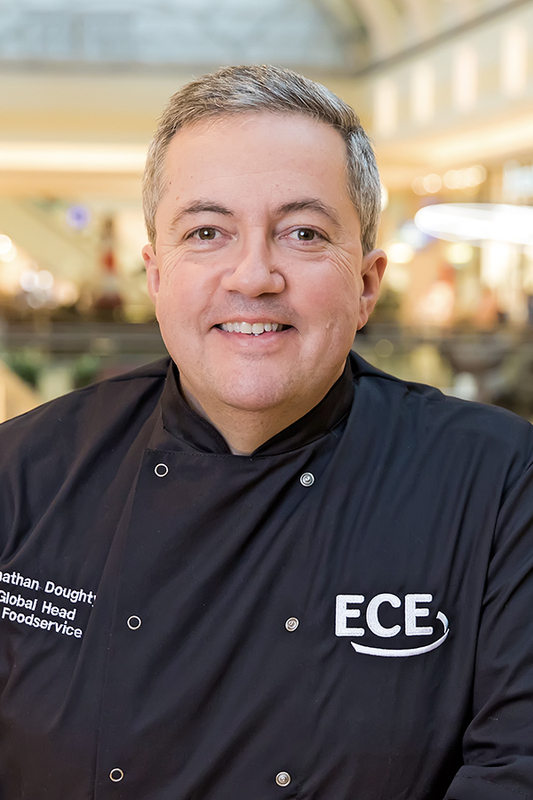 Jonathan Doughty is Global Head of Foodservice, Leisure and Place Making at ECE. He is responsible for leading ECE’s global food and beverage and leisure activities, for existing and new projects as well as the key relationships with the ECE food and beverage and leisure partners and tenants. In November 2017 he launched the “We Love Food” programme across the business. Jonathan actively participates in the concept development of foodservice and leisure with our investors, partners and the varied stakeholders in the ECE business and our properties. With nearly 200 shopping centers under management in 14 countries and 31 billion Euros of Assets under Management (AuM), ECE is the European market leader in the field of inner-city shopping centers. Food and drink is an incredibly important and growing part of these assets. During his 40 years in the foodservice industry, Jonathan has operated around the world extensively in the hotel and restaurant industry, before starting the innovative foodservice and leisure consultancy, “Coverpoint”. 20 years later the business was sold to JLL and Jonathan was, for nearly 3 years, Head of EMEA Foodservice Consulting for the property services business. In July 2017 Jonathan joined ECE. He is a graduate of the Metropolitan University of Manchester, a past Worldwide President of the FCSI (Foodservice Consultants Society International), a passionate fundraiser for MacMillan Cancer Support and a trained chef and self-confessed “foodie”. Jonathan is married to Michaela and they have 2 young children and a chocolate Labrador.